Gasoline surged to the highest in two years and oil declined as flooding from Tropical Storm Harvey inundated refining centres along the Texas coast, shutting more than 10 percent of U.S. fuel-making capacity. Motor fuel prices rose as much as 6.8 percent, while New York oil futures slipped 0.9 percent. Harvey, the strongest storm to hit the U.S. since 2004, made landfall as a hurricane Friday, flooding cities and shutting plants able to process some 2.26 million barrels of oil a day. Pipelines were closed, potentially stranding crude in West Texas and interrupting gasoline supply. Oil has traded this month in the tightest range since February as investors weigh rising global supply against output cuts by members of the Organization of Petroleum Exporting Countries and its allies. 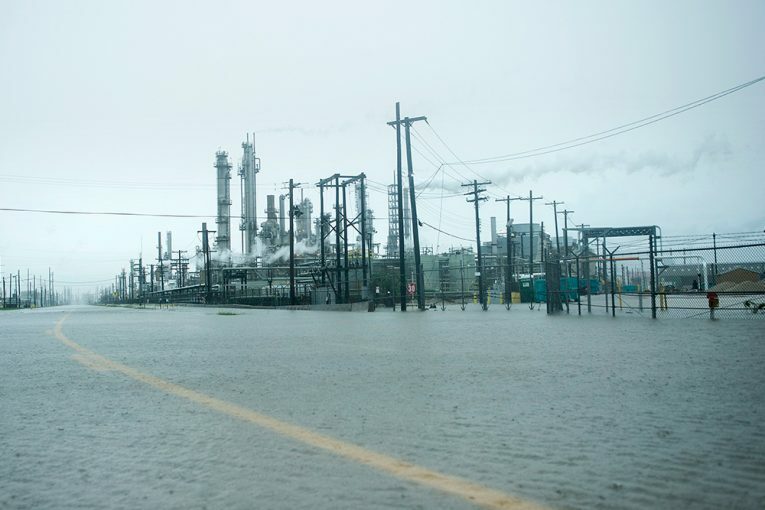 As Harvey led to widespread flooding, Royal Dutch Shell Plc shut its Deer Park plant, while Magellan Midstream Partners LP suspended its inbound and outbound refined products and crude pipeline transportation services in the Houston area. An estimated 300,000 to 500,000 barrels a day of Eagle Ford oil output has been shut, according to the Texas Railroad Commission. About 22 per cent, or 378,600 barrels a day of Gulf of Mexico oil production is offline, according to the Bureau of Safety and Environmental Enforcement. Magellan also said the Longhorn and BridgeTex crude pipelines are shut.